Proposals are always SO exciting. Honestly, they’re probably the category of photography that gets me the most sweaty and shaky with love & excitement!!! And this time around it was pumped up to another level, because the girl getting proposed to was someone I actually knew! 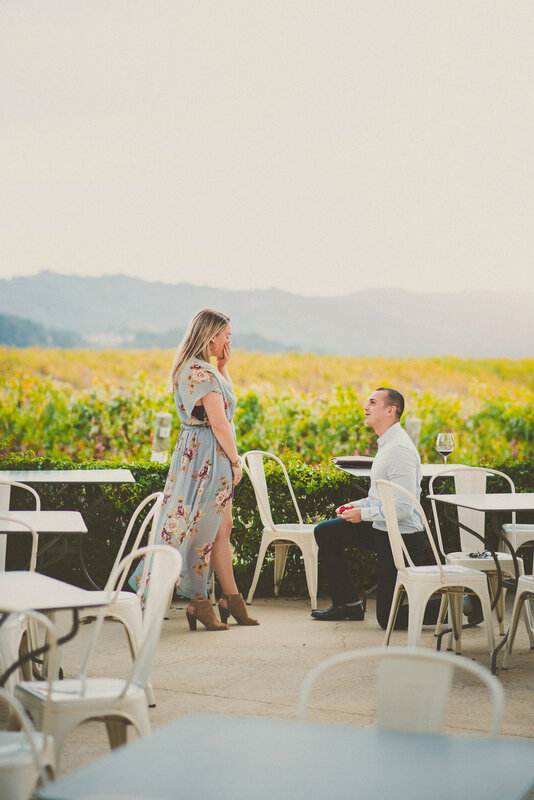 He told her he wanted to have a date day with her - & took her to get her nails done, cooked her a nice dinner, and brought her out to their favorite winery (Chamisal Vineyards) to have a glass of wine + watch the sunset with a few of their friends. Apparently this was a pretty normal thing because she didn’t expect anything. Destination Wedding & Portrait Photographer | Central California Coast & BEyond!